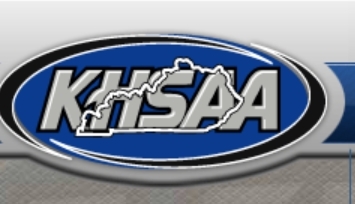 The Kentucky High School Athletic Association issued a directive today instructing member schools to refrain from having athletes shake hands after athletic competitions. The directive cited two dozen "incidents" during post game handshakes in Kentucky over the last three years as the reason for the new policy. Note, we aren't talking about brawls here. An incident could be anything from cross words being exchanged to who knows what. And no indication was given that the number of such "incidents" had increased. Two dozen incidents may sound like a lot. But keep in mind, this is over a three year period. That's eight incidents per year. Last year there were over 7,000 basketball games played between member schools in the state of Kentucky, over 7,000 volleyball games, over 3,700 soccer games, and over 1,000 football games. And we are supposed to think that eight incidents a year is such a large number that a change in policy is warranted? Really? That's just silly. It makes far more sense to teach our kids that a game is just a game and after it's over, no matter what happened during the game, we should treat each other with respect. If an "incident" occurs, use it as a teaching moment. And hold coaches and administrators accountable. If we are really interested in molding our youth into young men and women we can be proud of then this is the least we can do. Eliminating handshakes is an abdication of our responsibility and the justification offered for it is just silly.